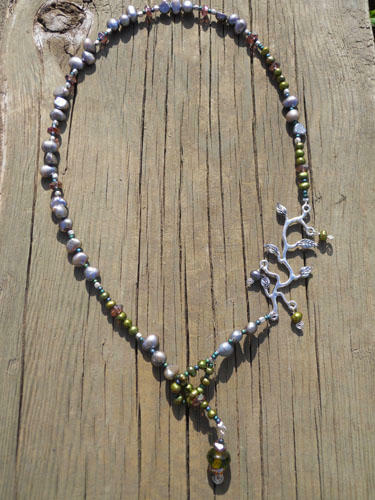 Handcrafted necklace is comprised of soft purple and green freshwater pearls, sparkling purple roundels, pewter spacers, and small frosted beads. An off center branch with small dangling pearls adds a unique element. 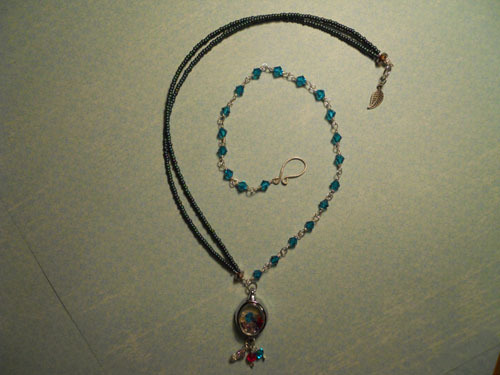 This necklace is strung through the front and measures approx. 18 ½ inches.